What Does the Bible Say About Harvest? One of my favorite seasons is fall. The weather is cooler, leaves are changing colors, and things planted in the garden have matured and are ready for harvesting. With that comes corn on the cob, apple cider, and pumpkin pie. Likewise, in most cultures it is a time when families unite to celebrate the blessings of the harvest before entering the long dark winter. In consideration of these things, what does the Bible say about harvest? Where do we get the word harvest? 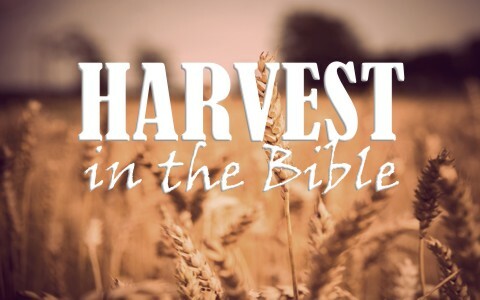 What does the Bible say about the word harvest? The word for harvest used here is the Hebrew word “qāṣir,” which also has similarities to the derivatives of the word that indicate taking, plucking, or cutting of fruit (2). How is the word harvest used in the Bible? In addition to the literal use of the word referring to the harvesting of ripened crops, the Bible uses the same word when referring to rescuing of the remnant of Israel and the resurrection and rapture of believers from the earth. We see this in the following passages. It is clear from God’s Word that the world is divided into two groups of people. The wheat, referring to believers whom have trusted Christ as their Savior, and the tares, referring to non-believers whom have rejected God (Matthew 13:36-40). Only by putting our faith in Christ for salvation from the wrath of God can we experience the harvest of the first resurrection and the eternal blessings that come with it (Revelation 20:4-15). Previous post: What Is The 7th (Seventh) Commandment In The Bible?